Jessica is currently completing her Masters of Performance Teaching at Melbourne University. She has previously completed a Masters of Music in Performance, a Bachelor of Music with Honours both at Melbourne University and a Bachelor of Music at the Western Australian Academy of Performing Arts. 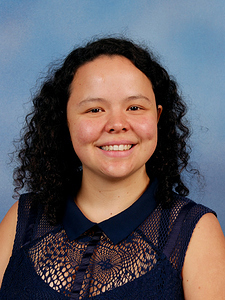 Jessica is currently teaching at Genazzano FCJ College, St Catherine’s School and Mentone Girls Grammar School specialising in Trombone, Euphonium and Tuba. She has performed with many different ensembles including Orchestra Victoria, Opera in the Alps Orchestra and the Australian Pops Orchestra. Jessica has toured all over the world with a variety of ensembles including the Australian Philharmonic Orchestra, the Australian Music Theatre Orchestra and selective Melbourne University Ensembles. She absolutely loves passing on her musical knowledge and passion in her teaching and conducting. Jessica believes that everyone can learn music so as to be involved in a large and supportive community in every country of the world!